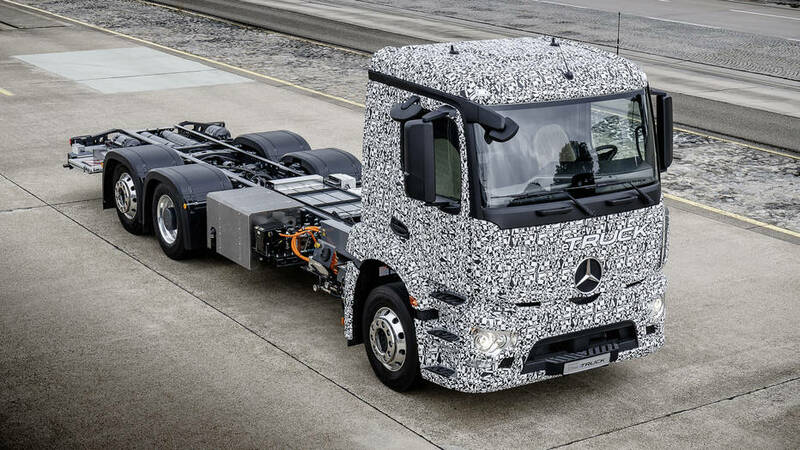 Share the post "First fully electric transport truck"
Everybody know Mercedes have one of the best exclusive cars in the world but not many people know they just made first electric heavy urban transport truck. Now both demand and supply for ecologically friendly electric cars are growing as new companies are joining the market showing their propositions. Tesla was the pioneer in the case of passenger though in the case of tracks Mercedes decided it will not give them the firs mover advantage and designed the first big rig of its kind. The all-electric truck was presented in Stuttgart at the end of past month. It is especially designed for urban purposes. It is meant to be used at the final kilometers of transport shipping cycle. That is because of both: its advantages and disadvantages. The first being good acceleration and better energy efficiency when often stopping and accelerating (which is how it often looks in the cities full of traffic jams and lights). Moreover, in some places it might be used in city centers where petrol cars are forbidden to ride while hybrid and electric can (for example Warsaw). By use of electrical engine, Mercedes wants to reduce noise which is important when driving in cities (everybody knows how noisy they can be.) The disadvantage of this truck, on the other hand, is its limited range of only 200 kilometers with total maximum weight of 26 tons. The competition on this market will be for sure visible as two weeks ago Elon Mask, CEO of Tesla revealed that company is working on Semi transport track and is planning to present it as early as next year. Mercedes-Benz is still waiting for close-up to start production for world scale. Daimler said the prices of batteries between 1997 and 2025 got 2.5 times smaller and batteries performance are expected to keep the same proportion. Do you like idea of replacing all trucks in cities with those fully electric ones?